AC Maintenance have over 50 years of experience in the Gardening Industry, there is no landscaping issue in Seaford we can�t find a solution for. From Commercial and Industrial Gardening maintenance to backyard and front gardens of private homes, we do it all. AC Maintenance has serviced the area of Seaford over many years and we understand the gardening environment of the suburb. We offer a huge range of gardening services ride on mowing of Acreage, backyard retaining walls, chemical weed spraying and instant turf installation to name just a few. We can provide affordable landscaping that looks amazing or if it�s reliable and cost effective garden maintenance of your commercial property you need, we can take care of that as well. AC Maintenance can provide you a quote with advice and will make sure you receive the best service possible and get it right the first time. These are our commonly requested services, if your job needed is not listed it�s not a worry, we couldn�t list every service we are able to perform because the list is never ending! Give us a call and we can let you know a quote price or make an appointment to inspect the job details more closely. Our most popular service is regular lawn mowing and maintenance. These days a lot of people are time poor, busy with work and family commitments. Speak with us to arrange regular lawn mowing and lawn maintenance. Even if you can find some time to regularly mow your lawn, you need to have the right tools; lawn mower, edge trimmer, weed spray, whipper snipper and a myriad of hand held gardening tools. It can actually be cheaper to have your lawn booked in for regular mowing rather than going out and buying up all the equipment. A lot of the time it can also simply come down to not wanting do the chore of lawn mowing and why mow the lawn yourself if you hate it! Weed control to be successful needs some know how, knowledge of the weed varieties and how best to eradicate them. AC Maintenance has over 50 years of knowledge in weed control, we know what works. Don�t wait before the weeds take over completely! Call us to take care of it for you. Getting rid of weeds and keeping them gone is no problem for us. We will identify the weed variety and use what we know works. Weeds can be destructive to gardens and paths, if left they will invade everywhere. Have you bought a new home that�s backyard is overrun with weeds? Don�t break your back pulling them out only to see them grow back within a few weeks. Call us to get rid of the weeds and keep then gone, don�t spend money on weed spray that isn�t right for what you need. You will end of spraying chemicals that cover all and sundry but do nothing to effectively fix the weed problem. Industrial properties are one of our specialities in the Horticultural field. We are Chemcert certified and keep our knowledge current with the latest developments and advancements in chemical spraying. Safety and efficiency is key, along with making sure the job is done right the first go. 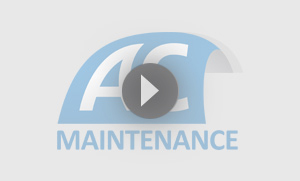 Make sure your business property is taken care of properly with AC Maintenance. Don�t overlook your industrial and factory properties outside areas. The garden areas if left unkempt can attract vermin that may damage stock and buildings. If not maintained these areas can also pose fire risks and attract council fines. Make sure you escape any council imposed fines with regular garden maintenance. AC Maintenance can ensure your garden maintenance is taking care of in a professional and cost effective manner. We get it; we run a business ourselves and take pride in our services.